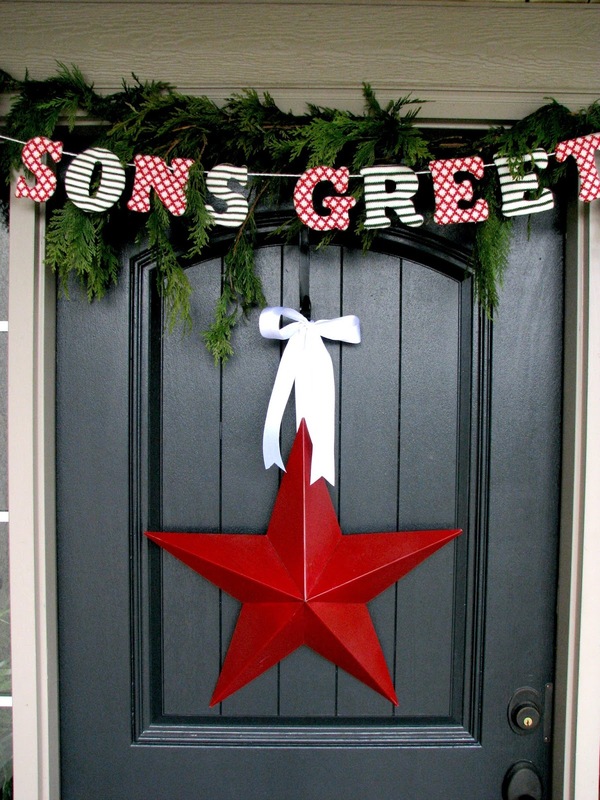 Welcome to our Holiday Home Tour! I am so happy to be a part of this tour with several other fantastic bloggers. If you are new here, welcome! I hope you will stay and look around for a while. This is such a wonderful time of year, I hope you are enjoying all the festivities this season has to offer! 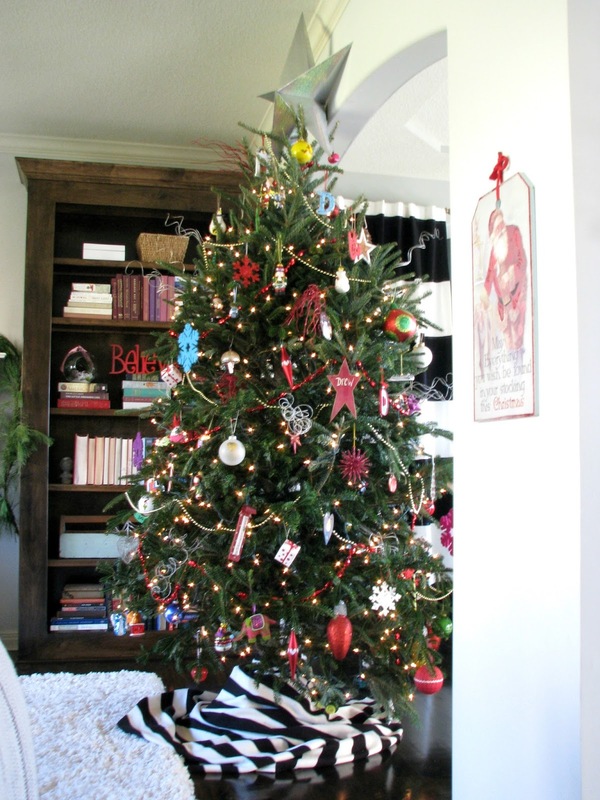 I am happy to have to have all the decorating done, so we can enjoy a house full of lights and trees and coziness. I don't really have a "theme" for decorating, I just always use what I love. I also try to use what I have in new and different ways. 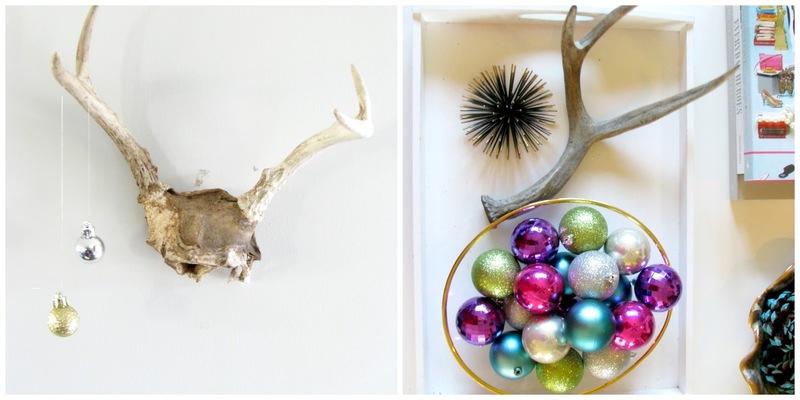 I think simple DIY projects, thrift store finds, bows, ornaments, and fresh greens can go a long way. And clearly, I am not afraid of color! Step inside our front door and take a peek! Thank you for stopping by! I hope you will all take the time to go view these other fabulous holiday home tours! 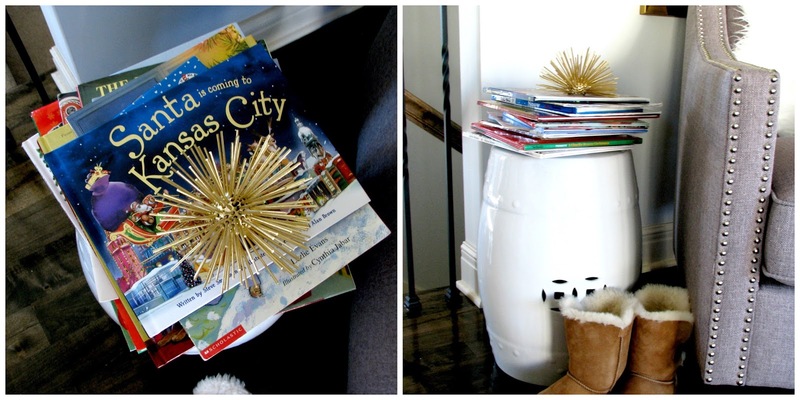 I love seeing how every family puts their own spin on holiday decor and traditions. Happy Holidays from Kansas City! 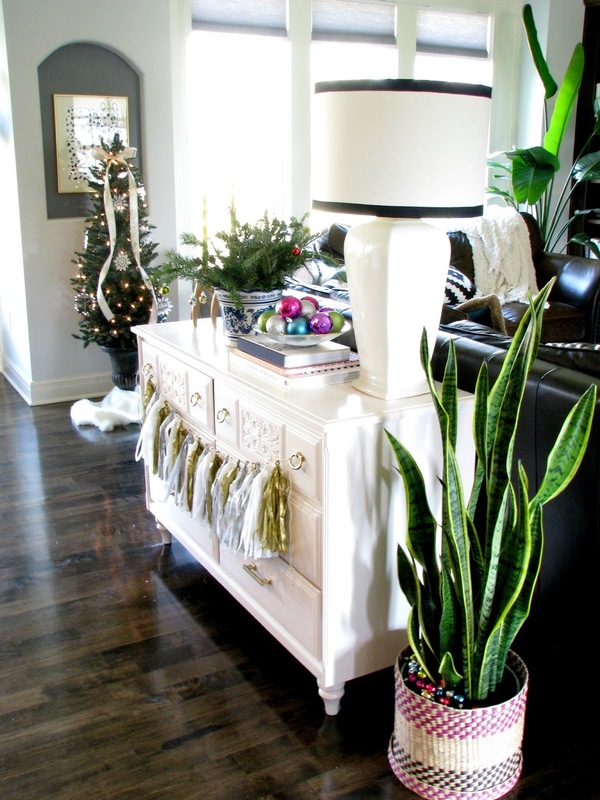 Your home is beautiful all decked out for Christmas, Andrea! From your outside entrance (love!!!) 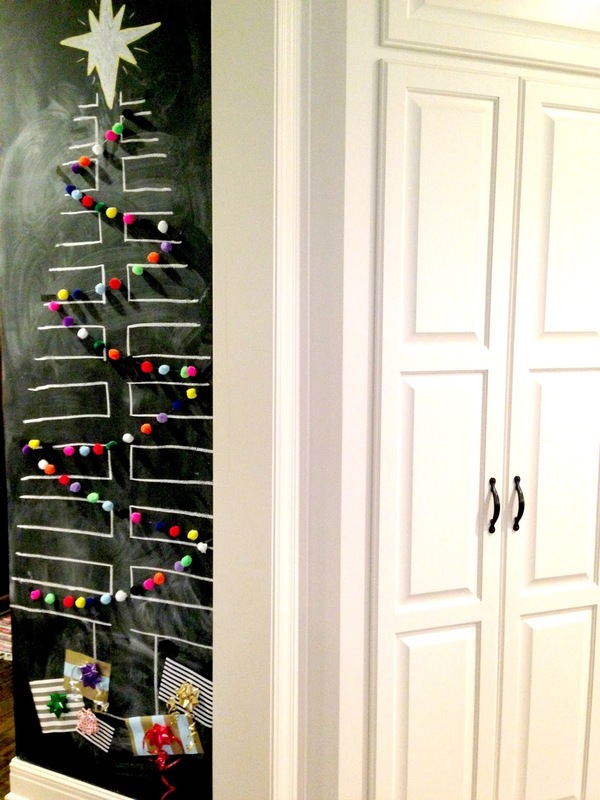 to the chalkboard tree, it is all so pretty! 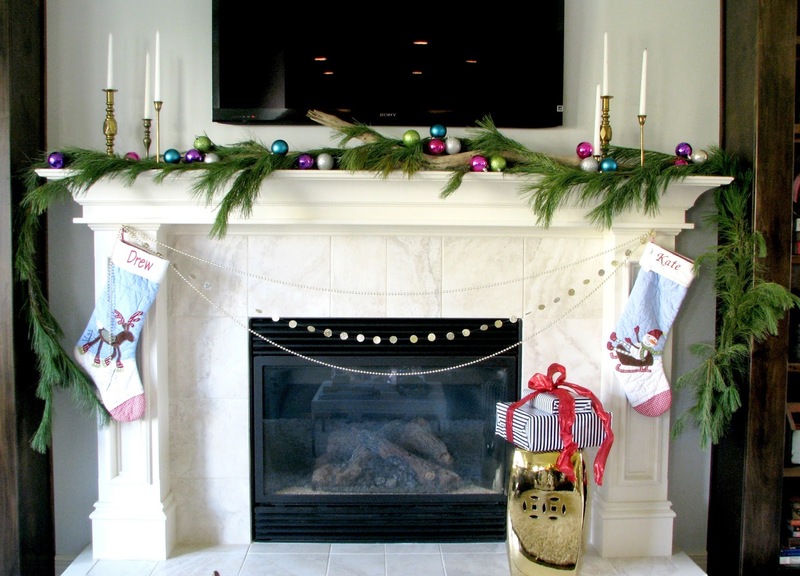 Your fireplace mantle is gorgeous too! Thanks so much for being a part of this tour... so happy to have you! Everything looks wonderful, Andrea! I love your dining room! Thanks so much for sharing it with us! Happy Holidays! Thanks, Iris, for stopping by the home tour! Happy Holidays to you too! Your home is so gorgeous, Andrea! I am in love with that BARCART! So cute! Thank you for stopping by! 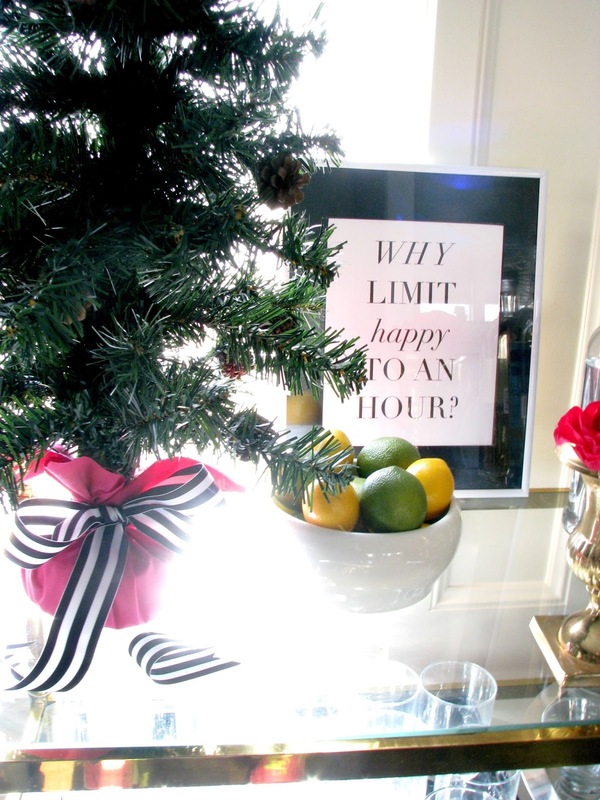 The bar cart is so fun to dress up for every occasion! Appreciate your kind words! Thanks Christine! That bar cart is one of my most favorite finds to date. It's so easy and versatile, I think you should get one for sure! I love your home tour! You made it so festive, but in a non overpowering way! 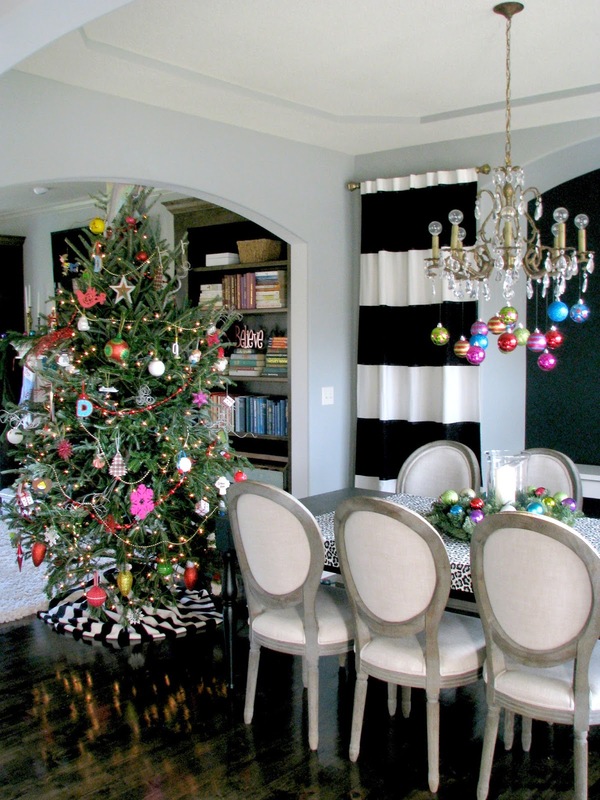 I love your chalkboard tree with the pom poms. 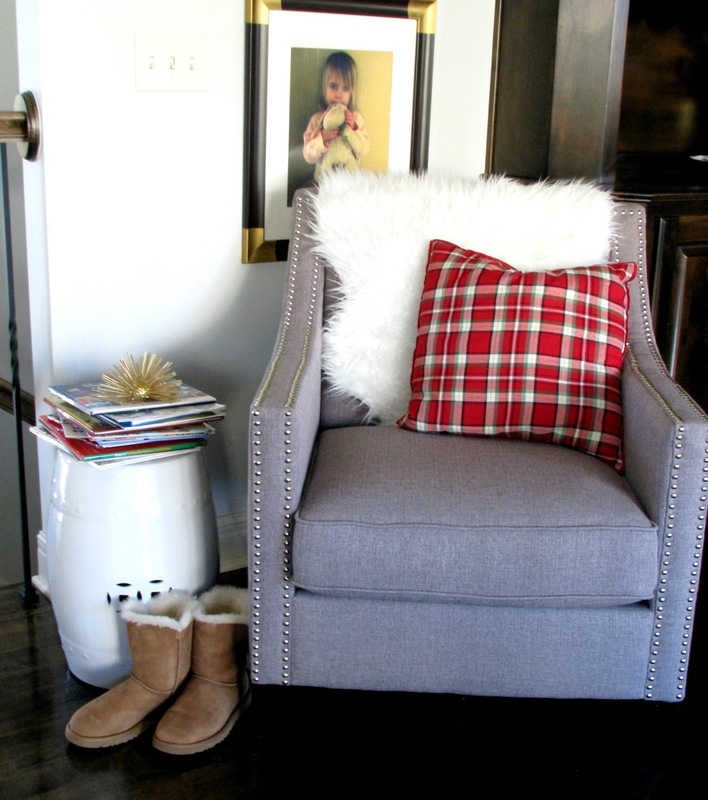 I love pom poms so it was a perfect touch in my book! Hi Shambray! I like to be festive, but in a sort of non-traditional way, so thank you for noticing!! :) That pom garland was so easy to make, and I just love it in any space! 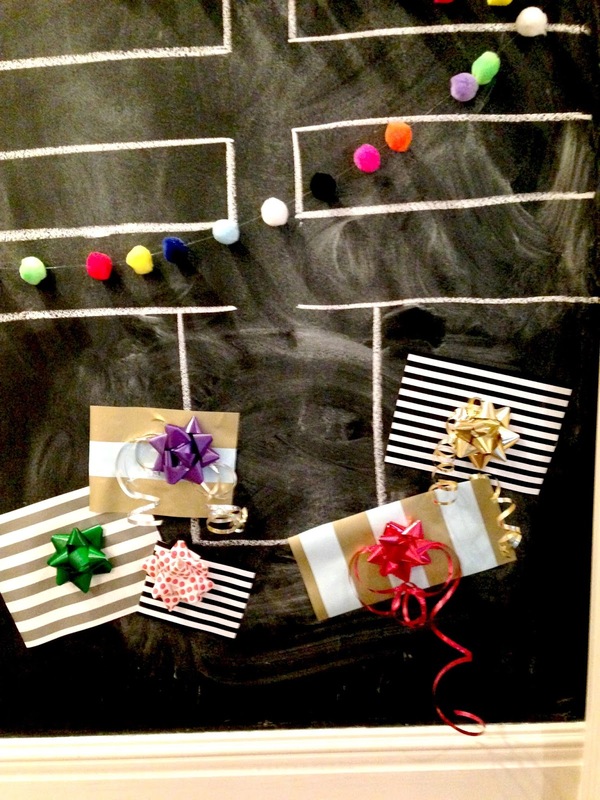 Such a beautiful chalkboard tree with pom pom garland, also love your chalkboard easel on your front porch. 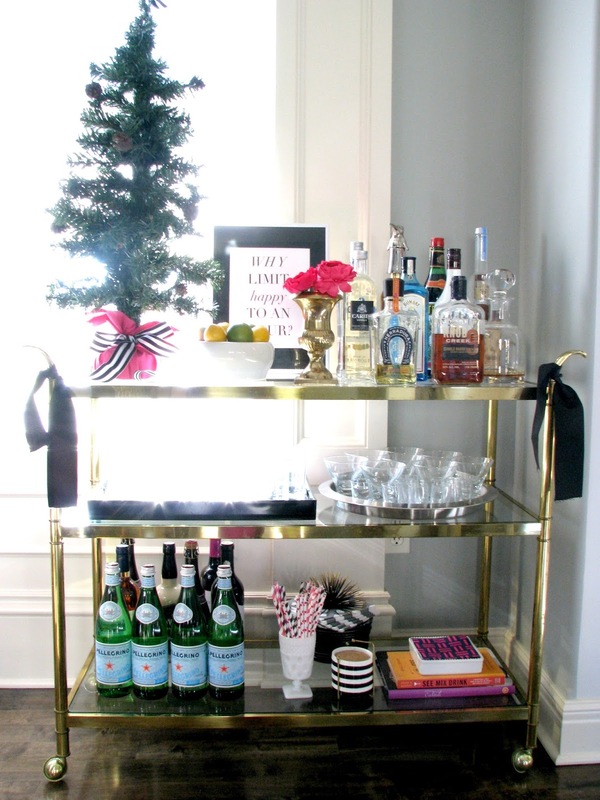 I also REALLY love that bar cart! Stopping by, I did my tour yesterday (Wednesday). Absolutely gorgeous!! 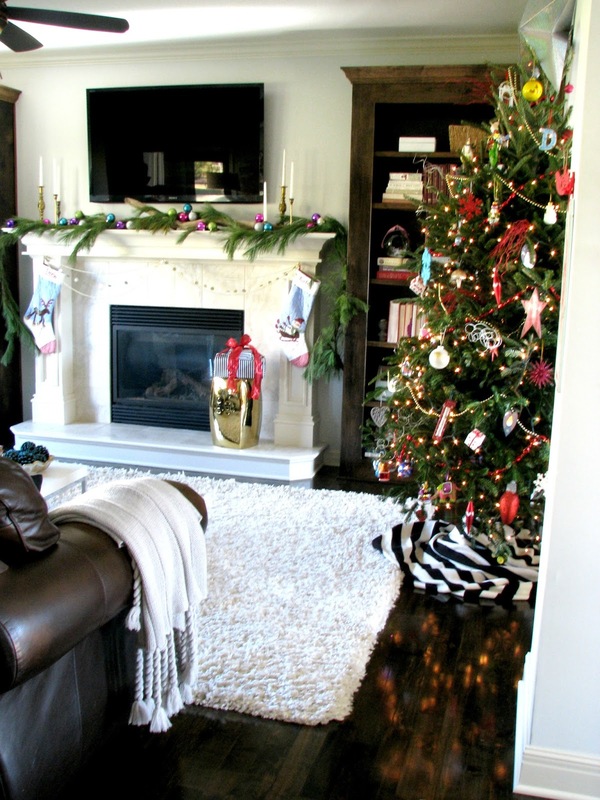 Loving that cute chalkboard tree, and I love your simple mantel decor! That greenery is so pretty. :) Your home is just so lovely!! So glad we got to do this tour together! 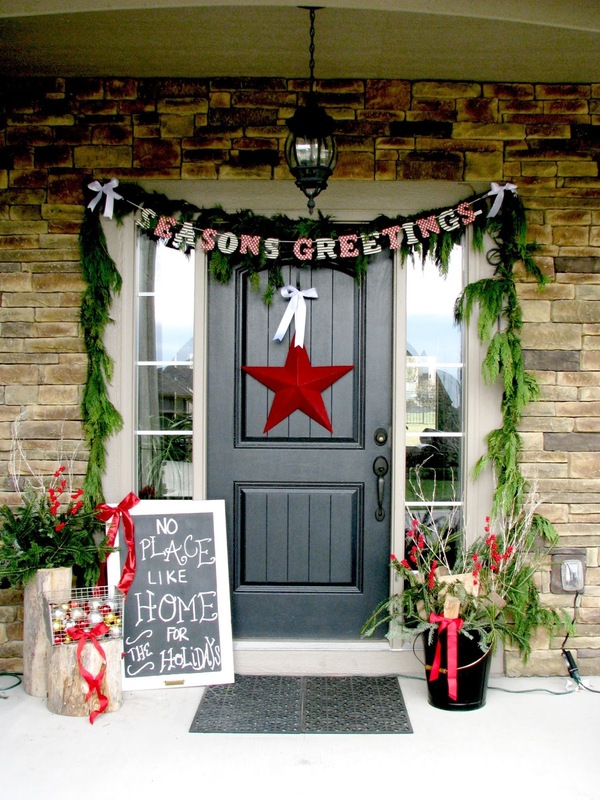 Your home looks wonderful all decked out for Christmas! 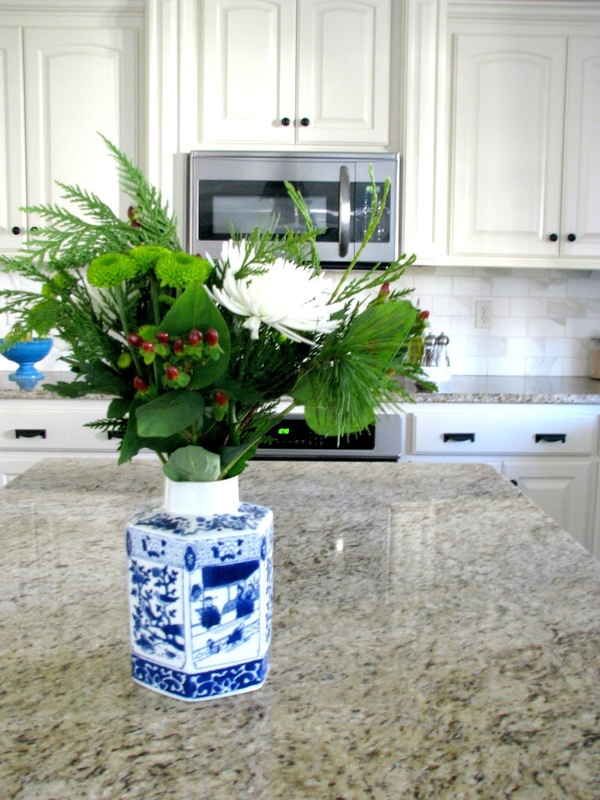 I love the pops of color and and greenery. Thanks for sharing at Fridays Unfolded! Love everything you shared here....especially your front porch. 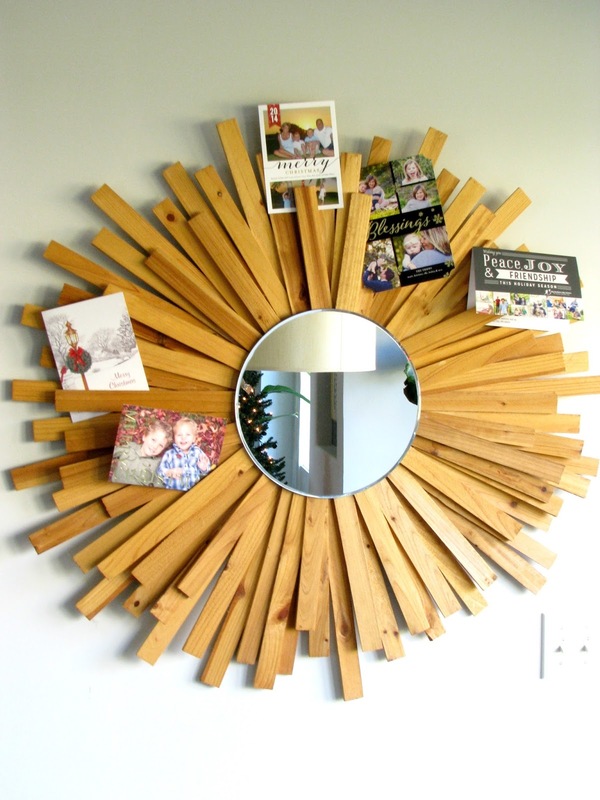 You've created such a welcoming entry for everyone to see! I'm sharing this as one of my favorites tomorrow at Your Turn to Shine. Thanks for sharing your home with us! Thanks Kimberly! Thank you for hosting and for pinning/tweeting!! Your home is so beautiful! 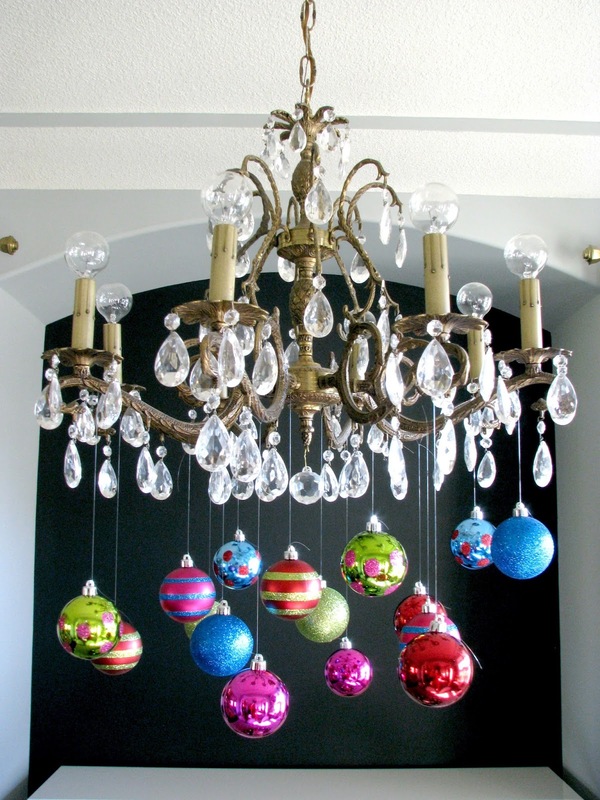 You have some serious decorating talent and everything pulls together so well! I love your front porch!! Well, I really love everything lol. 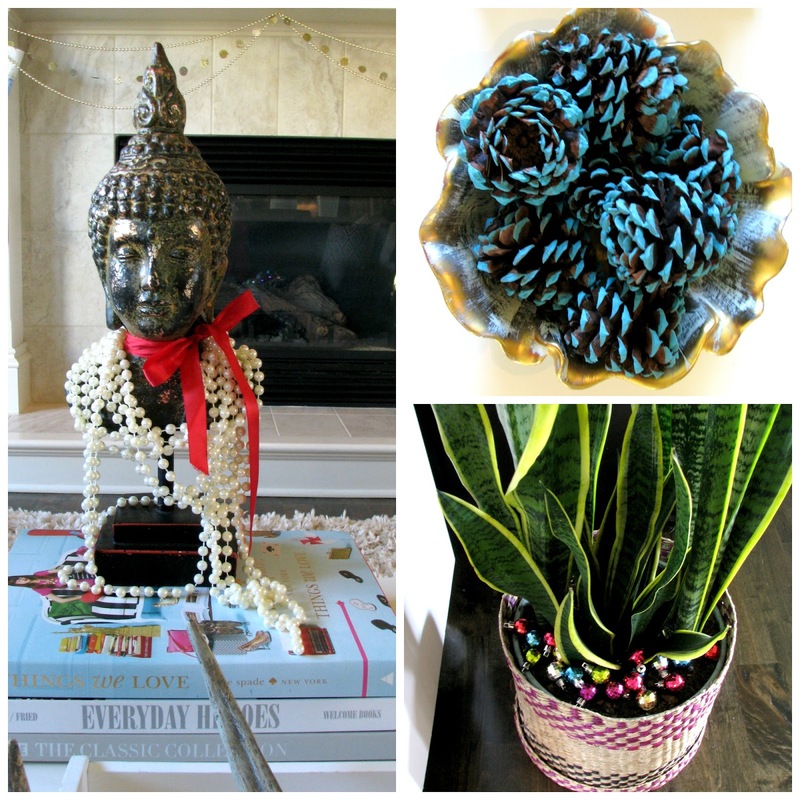 Thanks for linking up at Totally Terrific Tuesday! I hope you had a wonderful holiday and have a Happy New Year! Party is now live..pinned and tweeted! Gorgeous! 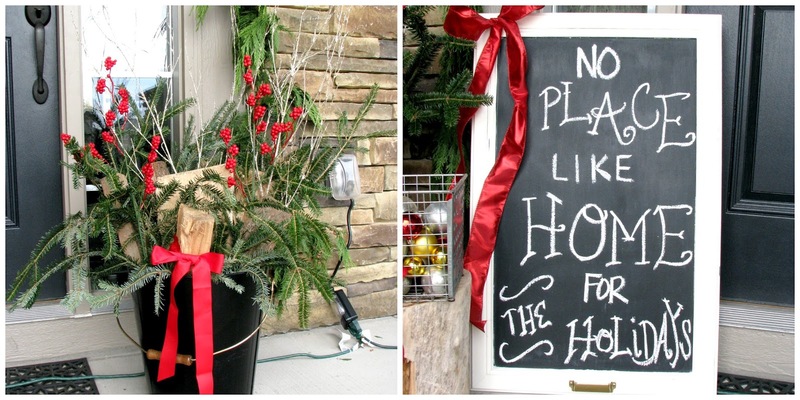 I especially love the chalkboard tree!